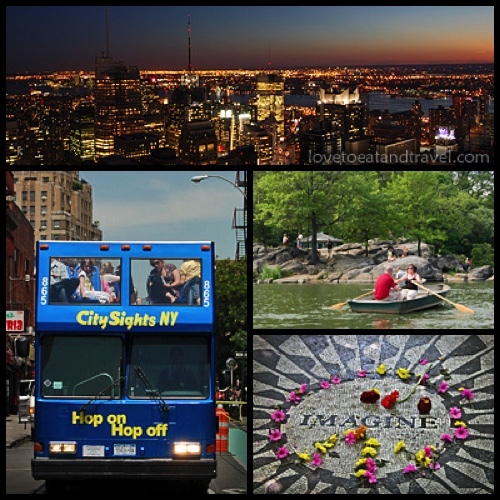 There’s nowhere in the world quite like New York City – the people, the food, the attractions, the entertainment, the views, the energy… And with so many things to do and see, it can be a little overwhelming, especially if it’s your first visit or two. Here are just a few fun things to do in New York City this summer, including free outdoor activities for the whole family. Enjoy! This entry was posted in Fun Things to Do, Travel, U.S. / North America and tagged 911 memorial, central park, empire state building, ny bus tour, ny dinner cruise, ny movie tour, ny museum, nyc, rockefeller center, statue of liberty, summer NYC, times square, top of the rock on July 24, 2015 by Alana. Top 10 World’s Most Visited Tourist Attractions – Are Your Favorites Among Them? Check out the “Top 10 World’s Most Visited Tourist Attractions” according to a recent survey by Travel + Leisure magazine before planning your next vacation or weekend getaway. You may be surprised to see what made the list – I know we were! This entry was posted in Travel and tagged central park, disneyland, disneyworld, faneuil hall marketplace, Fun City Attractions, grand bazaar istanbul, grand central terminal, las vegas, niagara falls, times square, tourist attractions, union station, Vacations on October 26, 2011 by Alana. Times Square is world-famous for its annual New Year’s Eve celebrations and its “lowering of the Ball.” A NEW Waterford Crystal Ball has been designed to celebrate the 100-Year Anniversary of the famous event. Get a preview of the NEW Official New Year’s Eve Ball – it’s on display in Macy’s main New York Store during November and December 2007. This is the first time that the Times Square Official New Year’s Eve Ball has been available to the public for a close-up viewing. This entry was posted in Uncategorized and tagged Best US Cities, Calendar of Fun Events, Holiday Season Events, new years eve times square, ny, Sightseeing, times square, times square new years eve ball on November 27, 2007 by Alana and Barry.